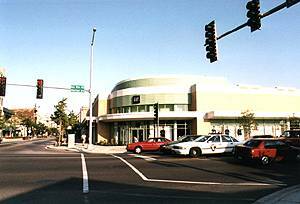 The south side of Lake Street was completely redeveloped during 1998, and the new shopping center has become very popular. Seen on the corner is The Gap and Kids Gap. Mouse over the picture so see the north side of the street.